Uploaded at: 2012. 07. 15. The aim of the training was to familiarize the participants with the restorative approach, so that they will be able to apply alternative conflict resolution procedure as prison service experts with a daily routine in handling interpersonal conflicts. According to results from satisfaction sheets, the participants were highly satisfied, they emphasized the introduction and the chance to try role plays and practical techniques as the most important parts of the training. According to feedback, they find the informal restorative techniques (question and communication techniques, mediation of cell-conflicts) highly implementable in the inner world of prison service, especially in the area of handling conflicts between inmates. 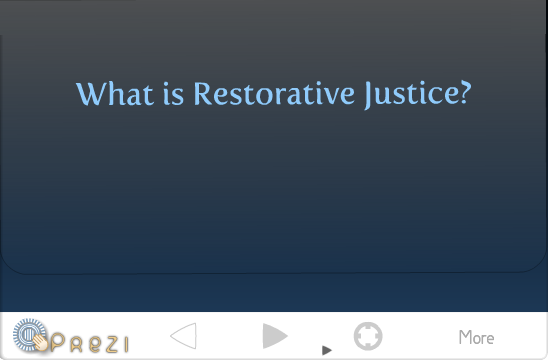 Apart from that, they also value the application of restorative techniques in „civlian” areas such as family or school conflicts.